Escape to chic serenity amidst the glittering skyline of Dubai on a luxury sun-soaked holiday. The Wyndham Dubai Marina occupies a popular spot adjacent to emerald waters and superyachts, within easy reach of the Jumeirah Beach Residence and the spectacular Palm Jumeirah. Enjoy a day from paradise on a beautiful sandy beach, before returning to sublime seclusion in your elegant room. The beautiful vast Jumeirah Beach Residence is just a short walk from the Wyndham Dubai Marina. Situated on the stunning Dubai Marina, there is a wealth of shops, bars, restaurants and attractions within a short distance of the hotel. 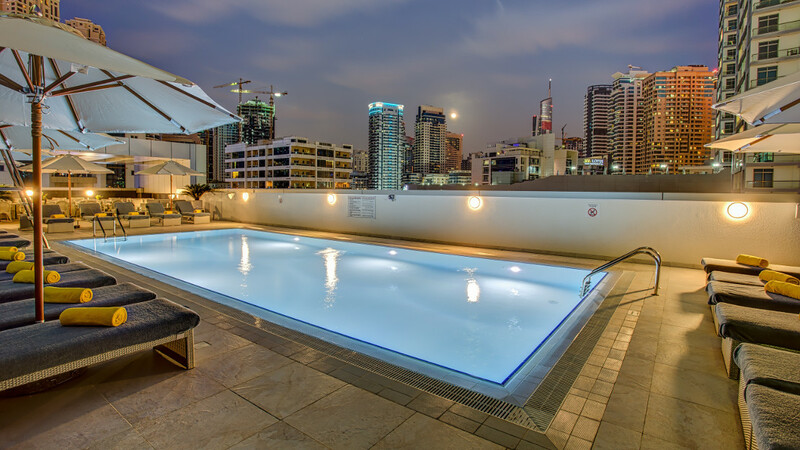 Guests staying at the Wyndham Dubai Marina can enjoy Bed and Breakfast, Half Board and Full Board basis options.